With the latest Wixie update, students and teachers can now share their projects to Google Classroom. 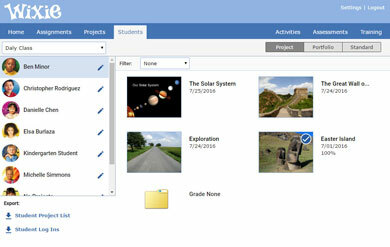 The student dashboard allows students to browse Wixie projects on a device that does not have Flash installed. It is also the first screen students see when logging into Wixie using a browser on an iPad or Android tablet. To make it easier for students who might be just trying to log in quickly to their account to print a project or two, we have added a print button to the project list. Today’s update will help teachers print their student work. Teachers now have a print option when viewing student work that allows them to print projects using the same layouts as students can use when they are creating their projects. 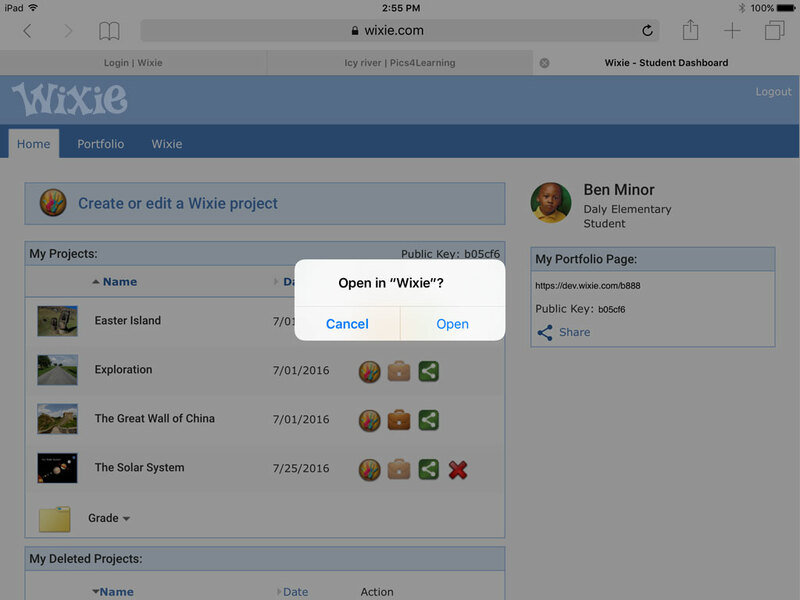 Because Wixie is an app on the iPad and runs in a browser on PCs, users going between the two devices often find themselves logged into their account in Safari on their iPad and not able to create a project. For teachers trying to grade student work or assign an activity, this wasn’t a big deal. But for students, there really wasn’t much they could do. 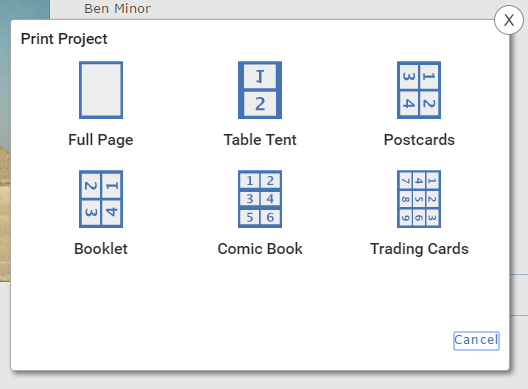 With the latest update, if you log into your account in Safari on the iPad and tap the button to create a new project, the Wixie app will launch and you will be able to work. You still need to have the app installed, but Wixie will do the work of moving you from the browser to the app. On Wednesday, August 17th, we are excited to release an update to Wixie that will refresh the interface for teachers and administrators. The goal is to update the interface to take advantage of the larger screens that have become popular since the product was first released. We have a long list of features we want to put into Wixie; years’ worth of work to do it all. Mostly the features come from user requests. Features move up and down the list based on how often we hear the request. But sometimes, things just around based on opportunity. Today we added some requested features to our usage reporting, not because it was the most requested feature, but because the opportunity presented itself. If you don’t use Wixie in Chrome on Windows, or your classroom has gone green and you don’t do a lot of printing, then you haven’t seen anything out of the ordinary. But, if you tried to print from Wixie on Windows in Chrome sometime in the last week then you probably noticed all you got was a big grey box. Searching the Wixie Library for a single letter or number used to give either no results or WAY to many results. We have updated the search algorithm to give users much better results when searching for one or two characters. 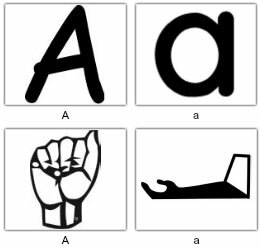 Now, when you search for the letter A for example, you will see letters, blocks, and symbols that match the letter A. With the latest update to the Wixie app for Android and iPad, the account log in procedure has been changed.